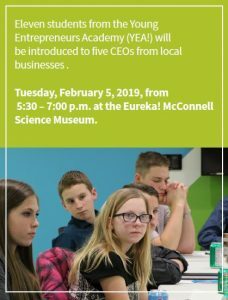 The CEO Roundtable is a significant event for YEA! students as it provides insight and guidance to the students as they prepare to launch their own businesses and become CEOs themselves. Students will benefit from hearing the entrepreneurial stories and experiences of prominent business leaders from throughout the Grand Valley, as it related to small business. working advice to the students. The CEOs will be able to share how they got their start in business to the next generation of CEOs. YEA! teaches kids ages 11 to 18 how to identify their passions, develop a business idea, write a business plan, pitch investors for funding, and obtain all the necessary components to create a fully, formed and functioning business or social movement by the end of the 30-week class. As a non-profit organization, YEA! relies on the generosity of the community and of sponsors; people who identify with entrepreneurship and want to help pave the way for the future business leaders of tomorrow. 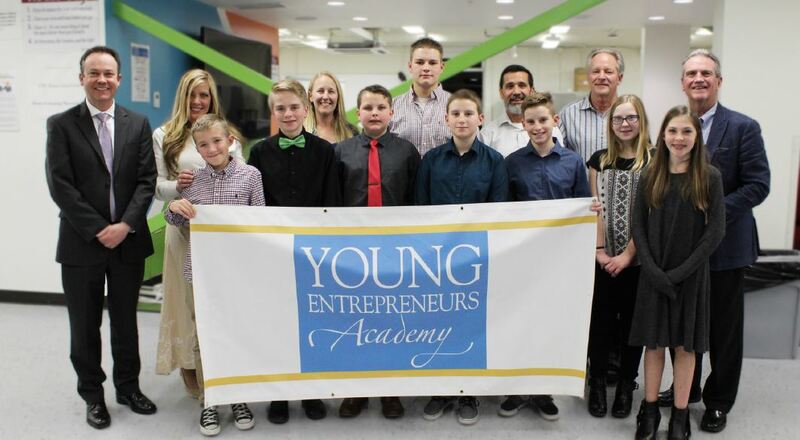 During the course of the nine-month program, more than 60 local businesses become involved with YEA! at various levels. Students work in close cooperation with local business leaders, community leaders and educators who use their personal experiences to demonstrate how to transform their ideas into tangible enterprises that create economic and social value for a better world.